Compression molding is a relatively straightforward process in which thermoset materials are loaded directly into a heated mold. After the mold closes, parts are formed using heat and pressure over specific periods of time. Thermoset materials can be introduced into a mold in a raw state, cold or pre-heated. Based upon the application, raw material can be pre-formed into a specific size prior to molding. The thermoset compression molding process yields components and parts that have high impact resistance and compressive strength. 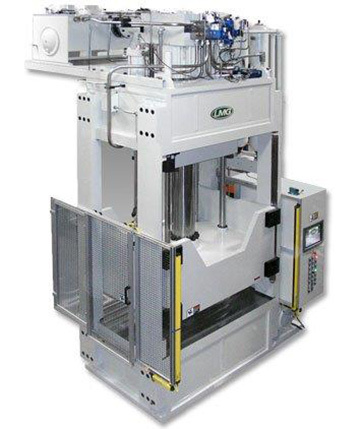 Tell us about your Thermoset Compression Molding needs, and we'll let you know how we can help.